Summary from Comixology: “Friends. Teammates. Titans. 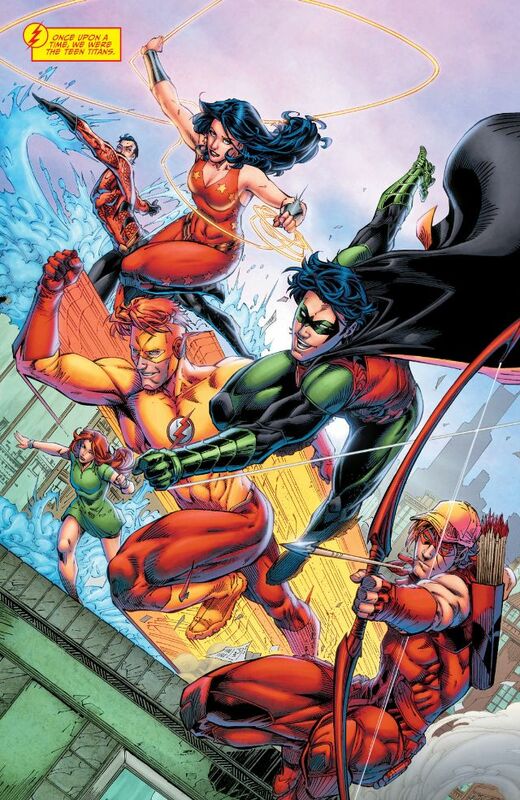 Donna Troy, Arsenal, Garth, Lilith and Nightwing were all that and more until a mysterious force erased their memories, forcing them to forget what they could accomplish together. Reunited with their memories returned, the Titans must destroy the interdimensional demon that broke them apart and threatens reality itself. This is a book I picked up due to the recommendation of a friend, they said this was one of the best books they have read in a while, and I personally really like Dan Abnett, so I figured I would give it a try, and I’m also trying to read all the Rebirth one shots. I don’t know why DC is doing this, but all of their books are so goddamn emotional! I get it, you guys are killing it with these Rebirth books, but come on, let me have a book that doesn’t choke me up. Take heed of this warning, if you haven’t read Rebirth #1, you need to stay away from this book, and stop reading this review, because there WILL be spoilers starting below. Remember how in Rebirth Wally West plays a huge role with getting Flash to remember him? Remember how damn emotional and rough that was? Well, that’s just how Titans Rebirth is. This entire issue is about Wally getting The Titans to remember who he was, and in those memories, we see flashbacks to the most intimate moments between Wally and each character. The interaction between Wally and Nightwing had to be the most emotional, followed by his memories with Lilith Clay. Imagine if all the people you loved forgot you even existed, imagine a world like Eternal Sunshine of The Spotless Mind, that’s been the world that Wally West has been living in for the last few years. 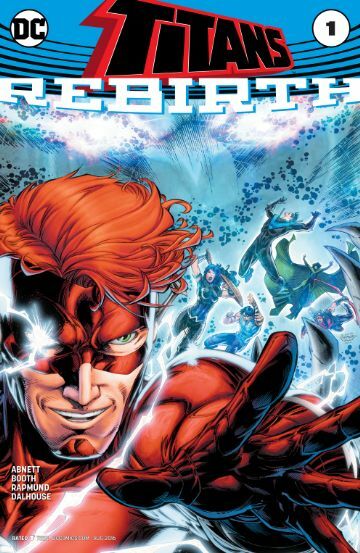 Dan Abnett has been putting out superior work the last few months, with his work on Aquaman and Titan’s Hunt has been fantastic, and now that he’s bringing out favorite Titans Back, I’m just more and more excited for his work. I think DC did a great job by signing him to an exclusive deal, which is fairly rare for DC to do. Abnett is a fantastic add to their creative department and, I think with his work on just this book alone, I am unbelievably excited to see where he’s going to take this book, and I have a feeling it’s going to become a great mystery read. I have no shame in saying that I wasn’t very familiar with the artist, Brett Booth. But after some quick research I discovered he’s worked on Spider-Man and X-Men for Marvel, and he did a bit of work with James Robinson on Justice League of America. Booth does a fantastic job of capturing the raw emotion, and the feeling of remembering something when it hits you like a dam breaking. His line work is incredibly clean, and even in the multiple fight panels, and splashes, everything is still extremely clean, and easy to follow. Which is not an easy task. Two Years by Have Mercy is really the only song I could play while I was reading this issue. It just fit perfectly. It’s about loosing the ones you love, and hoping they will remember you years later. “I had a life, and I had friends. And I miss all of them.” I think this is exactly what was racing through Wally’s mind.